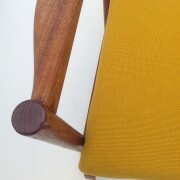 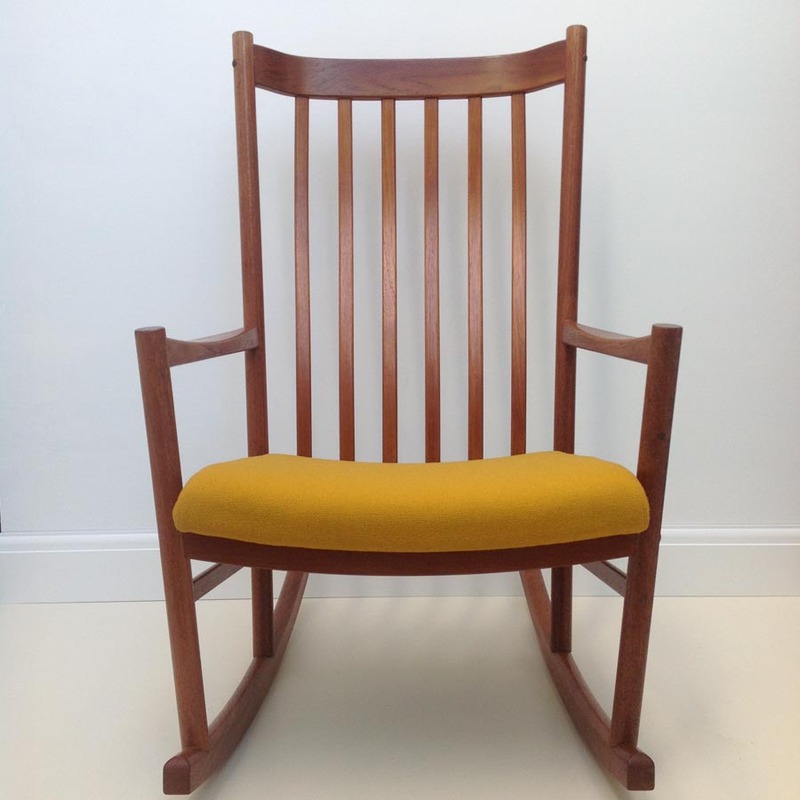 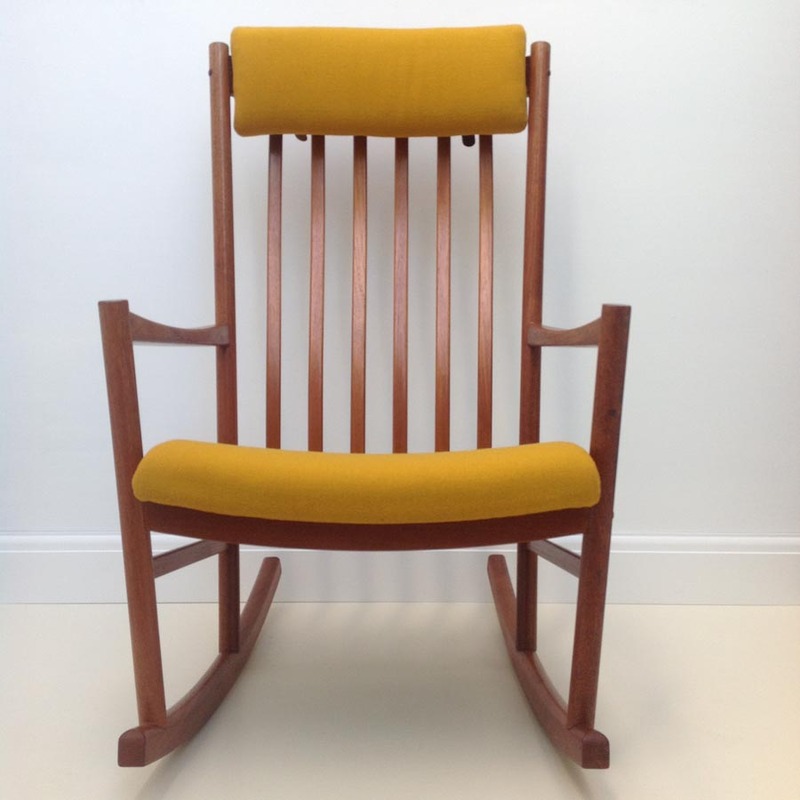 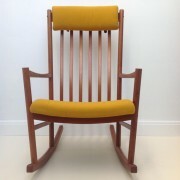 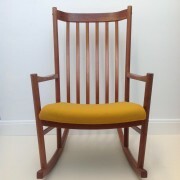 Striking rocking chair by Danish manufacturer Tarm Stole og Mobelfabrik A/S. Teak cleaned & re-oiled. 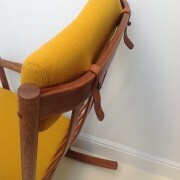 Re-upholstered in eye catching yellow/mustard fabric. 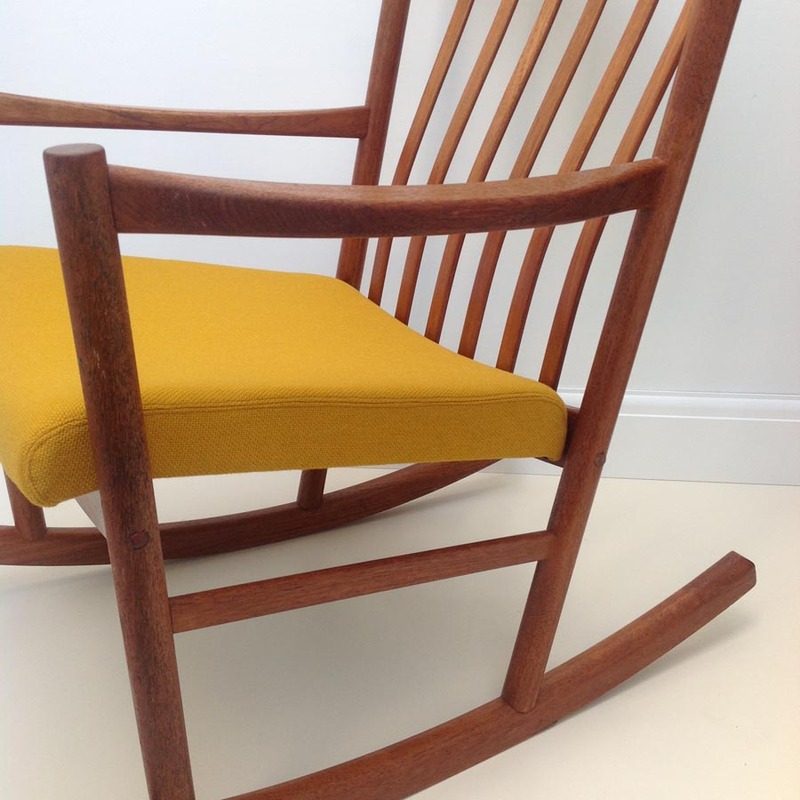 Knock-down construction which accounts for its prevalence in the States where it’s often attributed to Hans Wegner.